The Presidium acts upon the General Assembly’s behalf respecting Association operations and planning during the period between Assembly Meetings. The Presidium is the representative and executive body of the Association. It is subordinated directly to the Assembly. propose Annual Membership Dues for Members. The Presidium consists of seven Assembly Representatives (each from separate Full Members) elected by secret ballot, majority vote of the General Assembly. The Presidium Members serve for a two-year period. Presidium meetings are held four or five times a year. For more information on the Presidium please see Article VII of the ERRA Constitution. 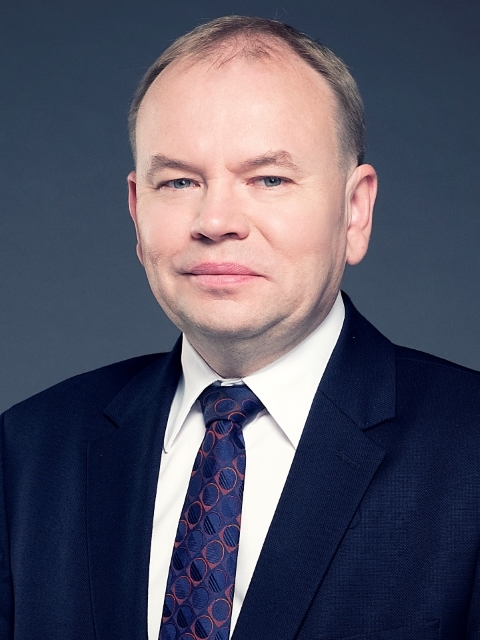 Märt Ots has been the head of the Estonian Competition Authority since 2008. Previously he has worked for the Ministry of Industry and Energetics, State Energy Board as Deputy Director General, Ministry of Economic Affairs and Head of Energy Department AEA Technology PHARE project “Energy planning for local governments” manager in Estonia, Ministry of Economic Affairs as Deputy Head of Energy Department and the Energy Market Inspectorate as Director General. In 2014, Märt Ots was elected as vice chairman of the Energy Regulators Regional Association (ERRA). In 2016 he was elected as Chairman of the ERRA for a two-year term. Märt Ots has graduated from Tallinn Technical University (thermal engineering) in 1991 and obtained Master´s degree of technology in 2002. Since 2016 Mr. Ots has a doctoral degree in electrical power engineering. Attila Nyikos is the Vice-President for International Affairs of the Hungarian Energy and Public Utility Regulatory Authority since July 2013. Previously he has worked for the Ministry of Foreign Affairs (1994-1998) as an International lawyer, the Permanent Representation of Hungary to the United Nations in Geneva (1998-2002) as a Second Secretary, worked as an Attorney-at-law (2002-2010), worked as legal commissioner (supervisor) of the National Directorate General for Disaster Management delegated to the Hungarian Aluminium Production and Trade Zrt. (2010-2011) after the „red sludge disaster“, he was Head of International and Legal Department (2010-11) and Head of Department for International Affairs at the National Directorate General for Disaster Management under the Ministry of the Interior. Dr. Abdullah Mohammad Al-Shehri, Governor, Electricity & Cogeneration Regulatory Authority (ECRA). He was the Vice Governor for Regulatory Affairs (2005 – 2009). He is an ex-Member of the Shura Council (The National Consultative Council of Saudi Arabia). Dr. Al-Shehri is a professor of Electrical Engineering and ex-Dean of Graduate Studies and Scientific Research at King Fahd University of Petroleum & Minerals (KFUPM). Dr. Al-Shehri received his Ph.D. Degree from Oregon State University, Corvallis, Oregon, USA, in 1985, in the area of power systems. He obtained his M.SC. and B.Sc. degrees in Electrical Engineering from KFUPM, Dhahran, Saudi Arabia, in 1980 and 1978 respectively. Dr. Al-Shehri has taught undergraduate and graduate courses in electrical power systems analysis and planning and has been actively involved in both basic and applied research in the area of power systems. He was a member and a leader of several working groups that conducted national and regional studies in the fields of power systems interconnections including the “Feasibility Study for Interconnecting the Electric Power Systems in the Gulf Cooperation Council (GCC) States”, the “Interconnecting the Power Systems in the Mashreq Arab Countries”, and “Feasibility Study for Electric Energy Trading in the Mashreq Arab Countries”. In addition, he was the principal investigator of several studies in the fields of Power Systems Planning, Electric Energy Conservation, Power Quality, Renewable Energy and Co-generation. Dr. Al-Shehri published numerous papers and articles in international and local scientific journals and conference proceedings. Rolands Irklis is Chairman of Public Utilities Commission of Latvia since February 2016. From 2011 to 2016, he has worked as Commissioner in Public Utilities Commission. He also worked as a Consultant for Energy Community Project for Secondary Electricity Legislation in Ukraine (2015-2016), Sworn advocate (2010-2011), Legal advisor of Bank of Latvia (2007-2010), Lawyer at Law Office Convents (2003– 2007). He is ERRA Presidium member since 2016. Rolands Irklis has graduated from University of Latvia, Faculty of Law (Master degree) in 2005. Currently Rolands Irklis is continuing studies in Executive MBA program at Riga Business School. Maria works in ANRE from March, 1999, and now her position is Director General of Network Tarrifs and Investments Monitoring Department. Her team is responsible for setting tarrifs for network services in the electricity and natural gas field as well as monitoring network operators (distribution and transmission) regarding their investments. She served between 2002-2012 as Commissioner of ANRE Regulatory Committee. She was involved in many ERRA activities from the beginning, especially in the Licensing/ Competition Committee. Prior to this she joined to the Reform and Strategy Committee of RENEL (former integrated Romanian Electricity Company) and participated to the drawing-up of the Romanian power sector restructuring program. She started her career in energy scientific research activities at ICEMENERG- National Institute for Research in Energy. She graduated as an engineer from the University “Politehnica” of Bucharest, Faculty of Power Engineering, Nuclear Power Plants (1984). Maia Melikidze is an executive MBA graduate from Harvard University in the field of Global Strategic Management. Furthermore, she has academic education in International Economic Law at Georgian Technical University and currently is working on renewable energy issues at Business & Technology University (Silicon Valley Tbilisi); Since July, 2017 Ms Melikidze occupies a position of commissioner at Georgian National Energy and Water Supply Commission for 6 year period. Before, she worked for the President of Georgia Mr. Giorgi Margvelashvili as an economic advisor. Afore, Ms Melikidze gained twelve year experience of working in a private sector: International Audit Company “Ernst & Young” as a senior auditor; JSC Bank of Georgia – Tax Analyst; JSC Liberty Bank – Head of National Bank of Georgia and IFRS audit cooperation department. Simultaneously Ms Melikidze is involved in educational process and encourages prosperity of new generation. She is an associated professor at Business and Technology University, which ensures unique educational expertise by integrating business into technology and making innovations. She supports Silicon Valley Tbilisi and works hard in order Georgia to become an exporter of education in the region. Ms Melikidze is an author of several publications at Forbes focusing on diminishing unemployment and ensuring economic growth; involvement of Finance Institutions in mobilizing a public wealth. Mustafa Yılmaz was born in Nizip/Gaziantep in 1966. Pursuant to his secondary education in Nizip, he completed his higher education in İstanbul University Law Faculty between years 1984-1988. He became a free-lance lawyer in İstanbul in 1989. He worked as a lawyer in the energy sector between the years 1993-2004. In this period, he contributed to the activities of some non-governmental organisations. He was appointed as the Board Member of EMRA in February 2004. He was assigned as the Second President with a Decision of Council of Ministers in January 2010 and was re-appointed as the Second President in February 2010. Yılmaz was assigned as the President of EMRA in February 2014 for the rest of his term of office. Finally, he was appointed as the President of EMRA on 1 March 2016 for a period of 6 years. Mustafa Yılmaz is married with three children.